We encourage our members to use their gifts and talents in our various areas of ministry. We offer a place for every person to be involved in the church. Jesus commanded His discpiles: "Go therefore and make disciples of all the nations" (Matt. 28:19). Through prayer and monthly financial support, we fullfill the great commission by supporting several missionaries from around the world. 1. To serve and support the church as a whole. 2. To help each lady achieve personal spiritual growth. It has been said that a woman sets the emotional and spiritual temperature for her home and family. Proverbs 14:1 states, "Every wise woman buildeth her house: but the foolish plucketh it down with her hands." It is our desire to equip each lady to build her home and to offer resources and activities to promote spiritual health. Our theme for 2012 is "Seasons of Life"
The youth ministry seeks to address the unique spiritual issues faced by those in the teenage and young adult age brackets (12-21). In this time of significant transition, young people are in desparate need of a sure spiritual foundation. Join us every Sunday morning where we have classes available for every age group. Our teacher's bring the Word of God to your child through age-appropriate lessons and activities. 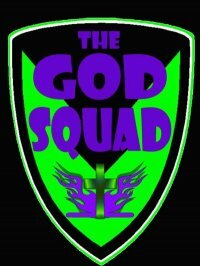 The God Squad Puppet Troupe leads our Children's Church every Wednesday . Your children are sure to have a great time learning God's Word while you attend the adult Bible study in the main sanctuary. Worship is an essential part of our spiritual walk, both individually and corporately. It is an outward demonstration of our love and adoration for God. The focus of our music ministry is to assist in ushering the congregation into the presence of God. Worship is not limited to an age group or style. On a monthly basis we encourage the involvement of every age group. Kids Praise - On the second Sunday of every month, we encourage our children to praise sing and play various instruments. Occasionally, the God Squad puppets are guest praise singers. Heritage Service - During the evening service on fourth Sunday of every month, we celebrate the songs of our past. Not only do we sing old gospel hymns, but we also focus on telling their stories. Our elders are asked to sing specials, testify and praise sing. These services bring great encouragement to our elders and reconnect the younger generation with their heritage. Pillars of Prayer - A prayer ministry for members age 50 and older. This group meets for prayer on a weekly basis and are called to special prayer when an urgent need has been received. Dorcas' Cupboard - Following the model of the early church in the book of Acts, this is a confidential hospitality ministry for church members. Church members contribute non-perishable food items to help out church families who find themselves in need.